The film’s content has been deliberately created to be both educational and entertaining and easily shared via social media to help the message spread wider throughout the industry. It features multiple tips to help employees avoid being an easy target for cybercriminals. Andrea Cross, Partnerships Development Executive, at the Sailors’ Society has praised the film’s approach, saying: “I really like the film, it’s impactful, engaging and easy to understand, great jobMany people still fail to spot the signs of simple phishing emails and accidentally give away personal and company information to hackers via email or social media postings. Even something as simple as charging a smartphone to the USB socket on the ECDIS terminal could allow hackers to gain access to a vessels IT network, potentially affecting the vessel’s ability to safely navigate. Multiple partners have come together to help Fidra develop the content of this vital educational initiative, including JWC International, the CSOA, the City of Glasgow College and Samskip. Thefunding model for the development and production of this resource means that it will be made freely available to the industry. 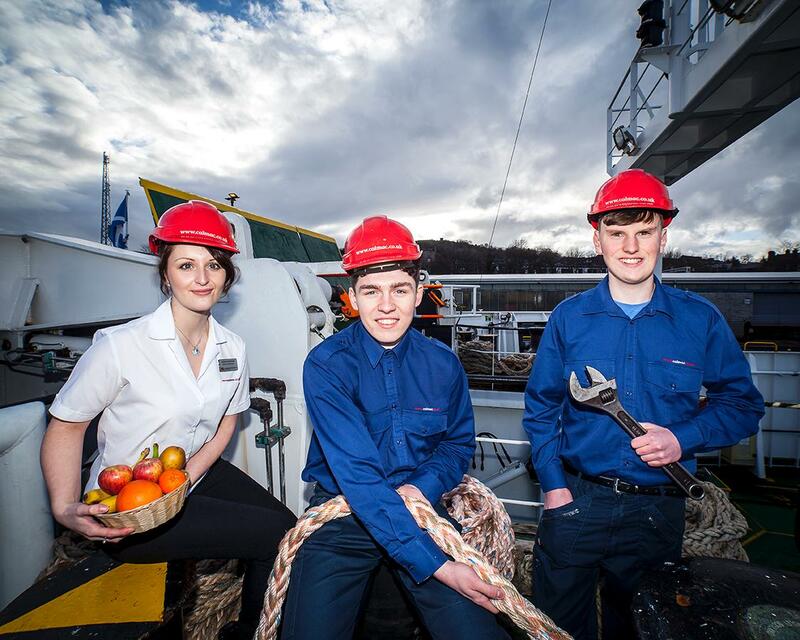 A group of three of CalMac's current 19 apprentices, came together to celebrate a year of notable milestones for the company's training programmes. As part of our commitment to improve the digital skills of CalMac employees we are now offering a free digital skills check to every employee, this will be done in partnership with Inverness College using the ICT Now tool from BKSB Live which is a leading functional skills auditing tool. 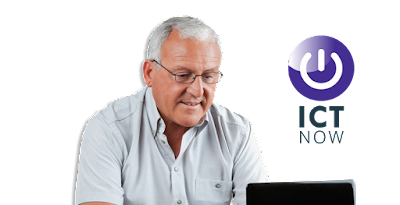 Initially we will offer the IT Basics section of the package and once complete other sections will be made available including Health, Safety and Security, Internet, Email, File Management, Word Processing, Spreadsheets, Presentations and Databases. Learning resources will be made available through BKSB Live for learners to improve their skills in areas where they need to. The @Sea courses are available to anyone. There is a small charge for each course but you can work at your own speed and each one is available for 12 months from the dates of purchase. To buy any of the courses please visit Marine Society online shop. Maths@Sea, Writing@Sea and Maths@Sea+ are exciting learning tools designed, developed and delivered by professionals in nautical education and Coracle Online. Using nautically flavoured examples and language the course leads students to apply basic, yet key, maths concepts and also covers elementary aspects of algebra, geometry and trigonometry. Maths@Sea is equivalent to GCSE level maths. The course is used as a diagnostic testing tool for those applying for scholarship funding, as an evaluation course for prospective MN officer trainees or a refresher course for seafarers taking OOW certification. Algebra, Trigonometry, Charts and Bearings, Introduction to Functions and Calculus. Using maritime language and concepts the course is designed with seafarers in mind who are comfortable with the elementary aspects of Maths@Sea and are now taking OOW or higher levels of certification. It is tailor-made for the maritime sector and uses examples, assignments and tests using familiar seafaring language and imagery. The course can be used as a handy reference tool once elements have been completed. Please contact Dan Henderson, Learning Organiser by email d.henderson@rmt.org.uk for details of funding through the RMT Bursary. 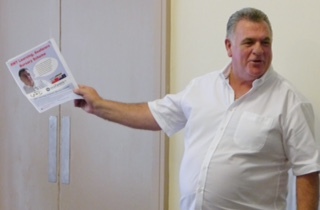 On Thursday, 25th June, 2015 (International Day of the Seafarer) at the AGM in Newcastle, National Secretary Steve Todd officially launched the new RMT Learning Seafarers Bursary Scheme. This has been made possible by a grant received from Seafarers UK. The RMT Learning Seafarers Bursary Scheme is open to individual members and also to branches for Educational purposes. The maximum amount awarded to an individual for a bursary will be £400. This must be used towards an accredited educational course – and evidence of the course must be submitted before payment will be made. Shipping Branches are able to apply to the fund also, with the aim of providing collective learning activity within the branches and also onboard. i.e. IT courses, language classes, functional skills courses etc. Those eligible for the bursary scheme must either be active, retired or ex-seafarers. The fund has limited resources and will be used on a first come, first served basis. Application form can be found on this webpage. Every year, between 11-17 May, the Mental Health Foundation helps to raise awareness of mental health and wellbeing issues. Since their first Mental Health Awareness Week back in 2000 they have helped generate public debates around how anxiety, sleep deprivation and exercise can impact our mental health. This year they are talking about Mindfulness. We will be working with CalMac in the 2015-17 project to raise awareness of this subject and we will be out and about during Mental Health Awareness Week speaking to employees and distributing information. Tell me, what is mindfulness? Mindfulness is paying attention to the present moment, without getting stuck in the past or worrying about the future. Mindfulness can be practiced standing, sitting and walking. It can be practiced both indoors and out; at home, in schools, at work or simply out and about. You can practice mindfulness for 5 minutes or 5 hours – that’s the great thing about mindfulness, you can tailor it to suit your own needs. What you may be surprised to hear is that you have probably been mindful at some point in your life and didn’t even know it… Have you gone for a long walk, breathing in the crisp, fresh air and then suddenly realised that four hours have passed? Have you listened so intently to a song that for a moment, you weren’t thinking about anything but how beautiful the melody was? That’s mindfulness! Contrary to popular belief, mindfulness isn’t about emptying your mind of thoughts and ‘zoning out’. It can mean different things to different people. At the heart of it, mindfulness helps people observe the way they think and feel about their experiences, whether good or bad. This can really change the way you manage and react to stressful situations, giving you a valuable tool to stay mentally healthy, and an ever-expanding body of evidence shows that it really works. Mindfulness is already known to be successful in helping people with mental and physical health problems, from stress, depression and anxiety to chronic pain, eating disorders and concentration, boost our productivity at work, and give us a greater enjoyment of life. So, where can I learn mindfulness? Despite its proven successes, access to mindfulness is still limited. We are campaigning for mindfulness practice to be widely available in prisons, schools, hospitals and the workplace. But we have still got a long way to go before we can make this dream a reality. 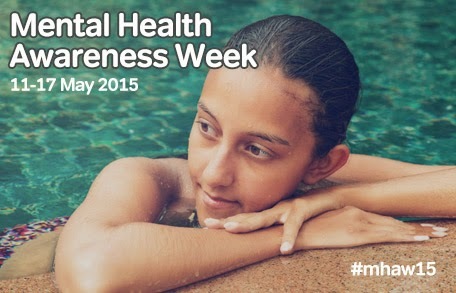 We hope you will join us this year in taking part and raising awareness during Mental Health Awareness Week 2015! Our Be Mindful Online Course is a 4-week online course is designed to guide you through all the elements of Mindfulness-Based Cognitive Therapy (CBMT) and Mindfulness-Based Stress Reduction (MBSR). You’ll be taught by Ed Halliwell & Tessa Watt, both leading mindfulness trainers from the Centre for Mindfulness Research and Practice, Bangor University, UK, and in as little as 4 weeks you can expect to be enjoying benefits including reduced stress, depression and anxiety. If you want to learn mindfulness visit the Be Mindful Online website. We have places available for learners to take part in an ILM First Line Management which is starting in Oban in November. 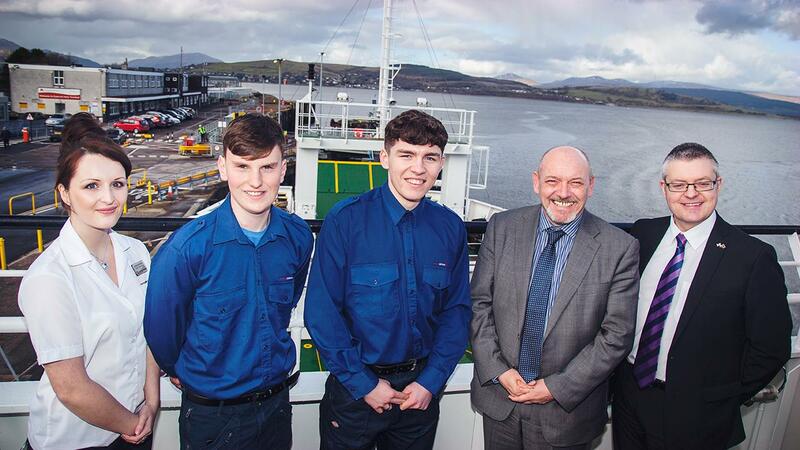 The course consists of 30 hours of classroom based learning and applications will be considered from all CalMac employees either living or working in the Highlands and Islands. The following is the course content. · Understand how to describe a problem, its nature, scope and impact. Learn how to gather and interpret information that will let you identify possible solutions to a problem. Discover how to make a decision as to the best solution. Consider how to plan the implementation and communication of this decision. Explore monitoring and review techniques that can be used to gauge the effectiveness of a solution. · Discover how to identify external, internal and potential customers, and how to identify the needs of both external and internal customers. Learn how to care for the customer and how to maintain customer care standards, as well as how to maintain effective customer relationships. Consider the rights of customers and the responsibilities of organisations towards them. · Learn how to identify development needs, and how to develop self and others to achieve organisational objectives. their own knowledge, values and motivations. This course is open to all CalMac employees either living or working in the Highlands and Islands and is also open to all employees regardless of trade union membership. If you would like to apply to take part in this course or you require any further information on this course or any other learning opportunities please contact us using the following details.